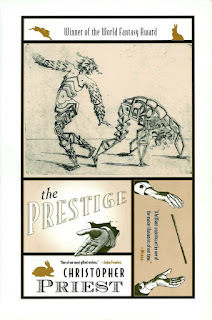 For the June meeting of the Chicago Nerd Social Club, we discussed The Prestige by Christopher Priest. 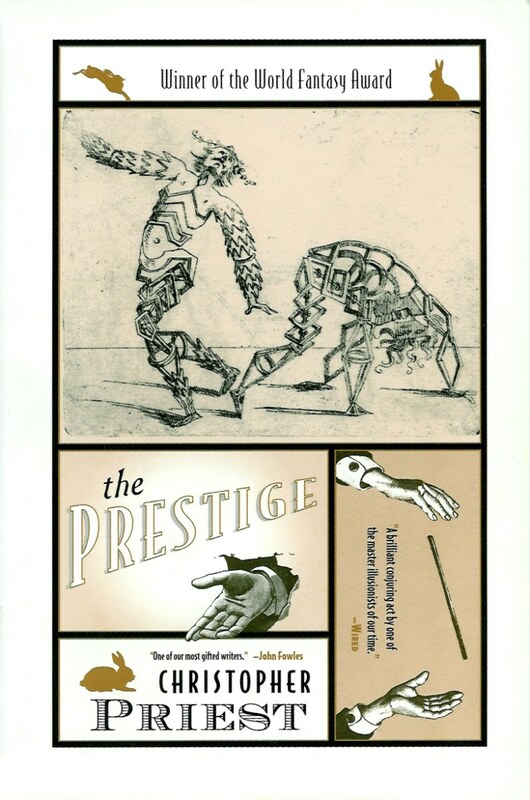 A tale of two rivalrous stage magicians in the 19th century, the novel plays with ambiguity and illusion—there are huge plot elements that have to be inferred, and can't be proven conclusively—and has a lot of uncanny doubling and mirroring. Some audiobookers among us noted that this is particularly ill-suited for that: not because the production was bad, but because the novel is purposefully and playfully contradicting itself at points, and it's really useful to be able to flip back and forth to check things. Complaint that a few people had was that none of these characters are particularly likable—either the original feud with Borden & Angier, or their descendants Nicky & Kate in the novel's frame-story. Lots of discussion about "the twin twist" and how much we actually believe it. Much debate over how much to believe Borden's account, given that 1.) he may have written it specifically to fool Angier, and 2.) it's unclear how much Angier may have changed the text we're reading. The meta-illusion of Borden's "Transported Man" trick is probably the coolest/weirdest part of the novel, overshadowing the flashier, more science-fictional, Tesla-assisted trick that Angiers concocts. We spent a lot of time debating the trustworthiness of all the sources pointing towards Borden's twin-dom. Also, it doesn't help our case that Angier is kind of a dope. 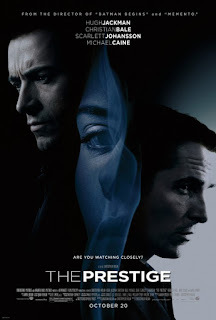 The "prestige materials" are all kinds of creepy, although some noted that they are even creepier in the film. Noted some historically-appropriate stylistic similarities with Robert Louis Stevenson. Also brought up a lot of other magic/illusionist works and figures, including Gold's Carter Beats the Devil, Ricky Jay's Art of Deception, Penn & Teller, and the rise of "close-up magic" focused on smaller, more "old-school" tricks—there's a cafe in Andersonville. Praised some of the Gothic vibes in the novel, particularly the grudge & its aftermath, and noted the Gothic-shading-into-horror twist at the very conclusion of the novel. Some debate over whether the Tesla inclusion is too much or not. Some pointed out that Tesla's wizard-like role here is in keeping with his public persona at the time (though obviously the machine itself stretches credibility a bit), and also pointed out that when electricity was new it had this fantastic appeal that works well with this story—referenced things like Jekyll & Hyde, Island of Dr. Moreau, or Frankenstein for the "has science gone too far?!" trope, with various new technologies as the focus. Good discussion of a very intriguing novel. For July, we're discussing Borne by Jeff VanderMeer, and in August we'll be talking about China Mieville's Embassytown. Keep up with CNSC on their website and Facebook page.